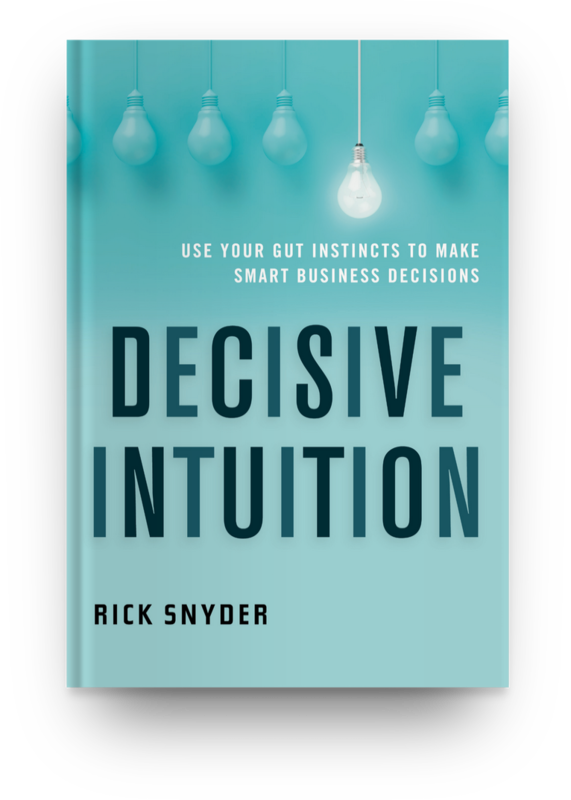 On 28th of March, we have a special treat in that Rick Snyder will be doing an exclusive book talk, accompanied by wine and cheese, on his soon-to-be-released book, Decisive Intuition, The evening will commence from 6pm-7:30pm. Tickets are limited so get yours now! Intuition is the great differentiator in business. Listening to, trusting, and acting on your intuitive intelligence separates you from the pack as most people are not listening to theirs. 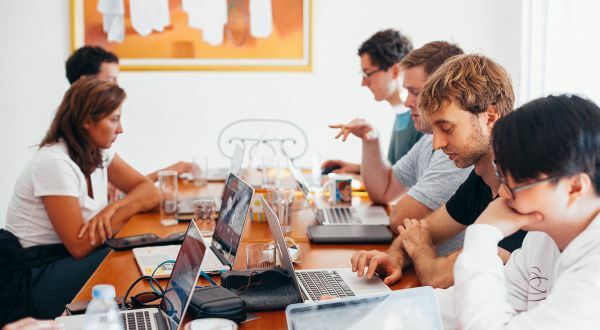 Intuition is the one intangible skill that enables teams to function at a higher level and add more dimension and power to their ability to solve problems and grow. What Inspired Me To Write Decisive Intuition? 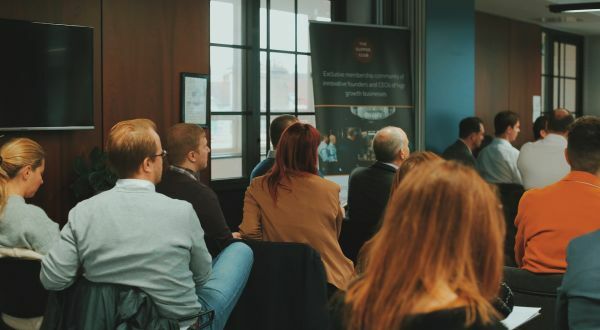 In working with business owners and managers over the past fifteen years in different capacities, I realized that there was a key element missing in the conversation of leadership development, company culture, and innovation. I didn’t have the word for it then, but eventually realized that there was an “invisible edge” that certain business owners and managers had, that separated them from the rest. There was an ineffable quality that some people seemed to embody that others naturally followed. The leaders who were comfortable enough with themselves to trust and develop their intuitive skills were the ones willing to take risks and disrupt the business landscape. They were on the leading edge of their lives and their companies were benefitting. This observation plus reflecting on the times when I hadn’t listened to my own gut sense and the consequences that ensued, drew my curiosity to explore this intangible skill. Decisive intuition explores how successful business leaders are integrating intuitive skills into their companies for cutting-edge results. 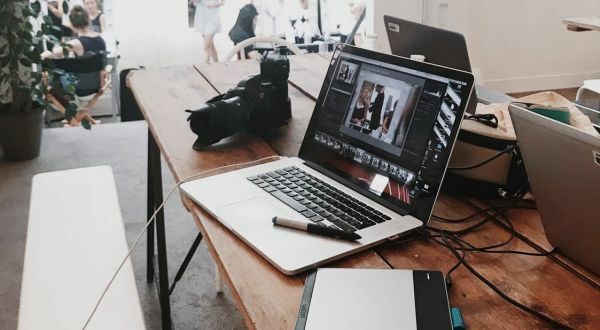 Observations and conclusions are based on the latest research in neurobiology, psychology, and anecdotal stories from business leaders who apply their intuitive intelligence in the workspace with life-changing results. Rick is the founder and CEO of Invisible Edge™, an international consulting firm that builds high-performance environments in major, mid-size, and emerging businesses. He leads the Invisible Edge™ coaches in training companies and teams to build intuitive skills and translate them into business plans and company cultures that result in more effective communication, engagement, profitability, and innovative success. His breakthrough strategies based on his upcoming book, Decisive Intuition, have been implemented by executives and businesses in Europe, Canada, Asia, Africa, and America. Rick holds an MA in psychology and has previously worked in the health-care, tourism and travel, and training spaces. He has launched four businesses and lives and travels extensively between London and San Francisco for work and leisure, and to help people access their intuitive skills for decision-making on a global scale. For more information on live presentations, trainings, and virtual learning programs for you and your teams, please consult www.Invisible-EdgeLLC.com.